Cubs/Brewers at Milwaukee’s Miller Field. Kosher tailgate at 11:30 and game at 1:10. Save the date and reserve your seats before limited tickets are gone. Bring the family. 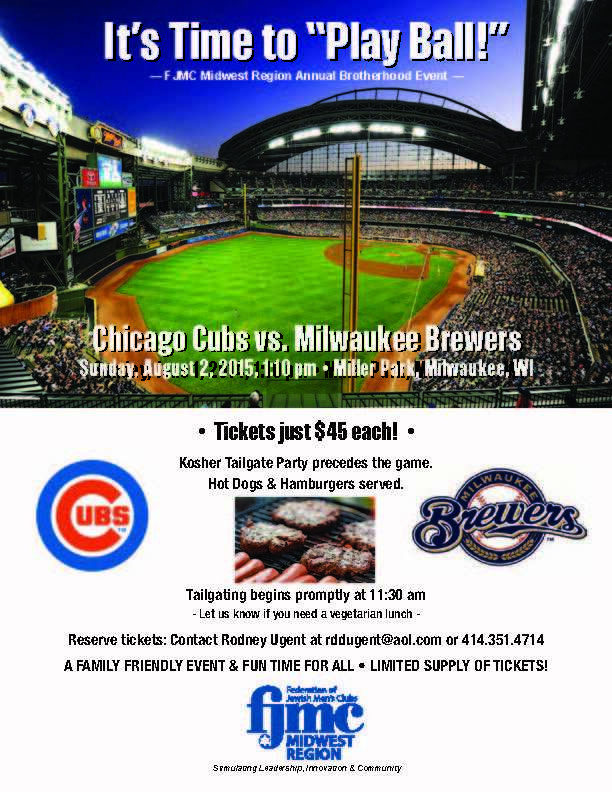 This MW Regional event is hosted by our Milwaukee brothers at Congregation Beth Israel Ner Tamid. Click on picture to enlarge flyer for details and reservation.